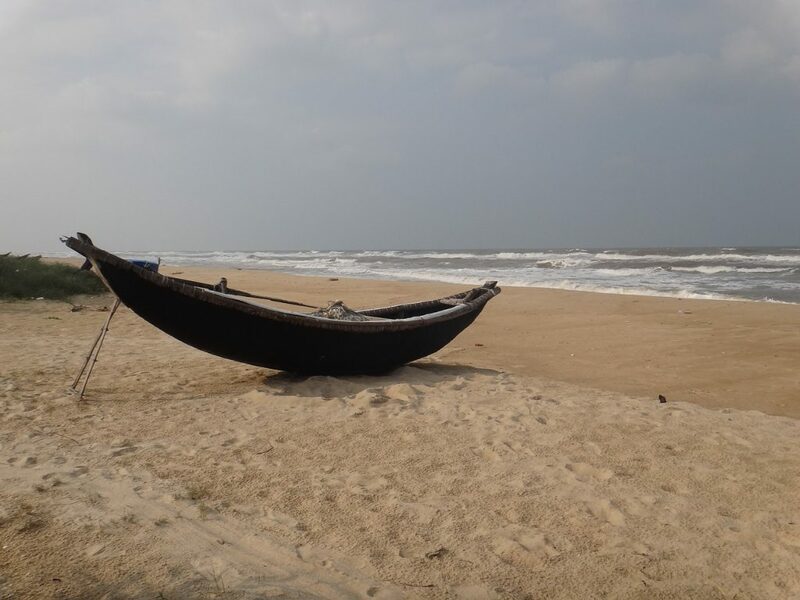 Wondering what to do in Hoi An? You’re not alone – but trust me, there is so much more to this beautifully preserved river trading port than meets the eyes! 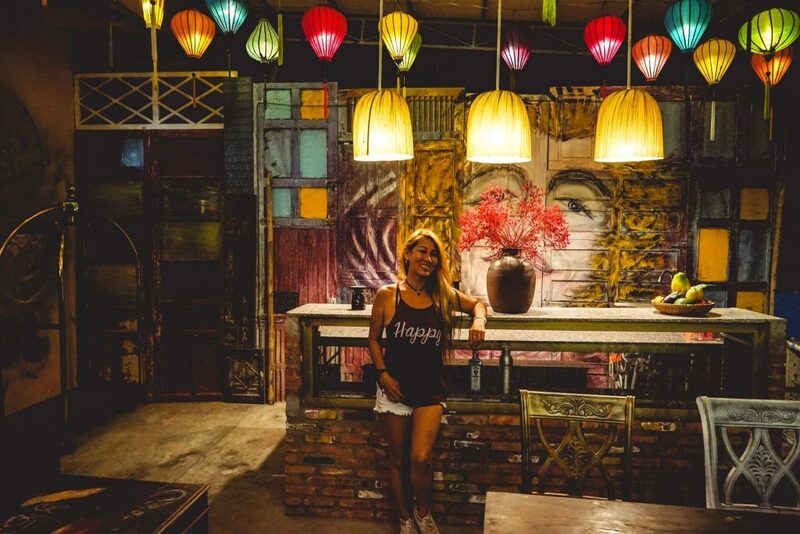 Bare with me, as I show you a few of the top things to do in Hoi An, proving that while the Old Town of Hoi An might be very Disney-esque… If you know where to look you can find both substance and style! Sadly many travelers never get to discover the true essence of Hoi An, only stumbling around it’s -admittedly picturesque – old town, managing only a few hours of admiring grand architecture in the hot midday sun before beating a hasty retreat back to their hotel pool. Frazzled and a tad bewildered, they seem to quickly spread word up-and-down Vietnam that Hoi An is a one day stop at best with overpriced Old Town restaurants of dubious quality and not much else… Unless of course, you visit for the insanely awesome Lantern Festival held annually. I promise if you look a bit harder – and explore outside the old town – Hoi An will quickly become your favorite destination in Vietnam. 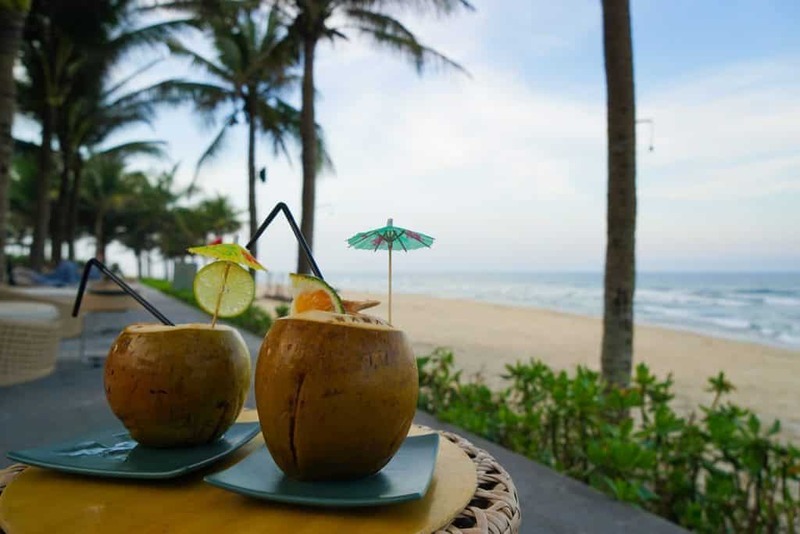 This is thanks to Hoi An’s incredible food scene, relaxed pace of life, varieties of shopping and events on offer – not to mention plenty of day trips, tropical beaches on its doorstep and some of the most foreign-friendly nightlife in Vietnam! 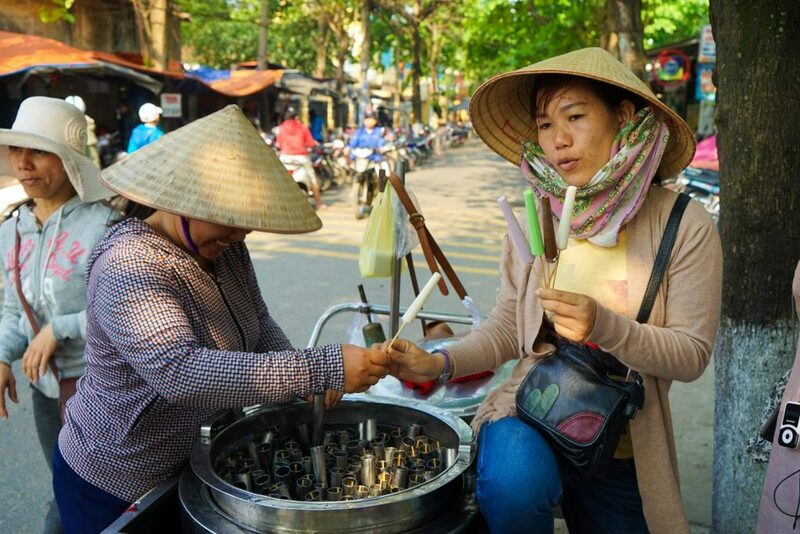 One of the best tips we can give you for exploring Vietnam is to order a travel SIM card for easy airport pickup and activation the moment you land so you will not pay a fortune for international roaming – and can truly travel like a local. Restaurants recommendation and reservations on the fly, public transport instructions up to the minute, opening hours and further information – and of course, social media posting, if that’s your thing – all become just that much easier. 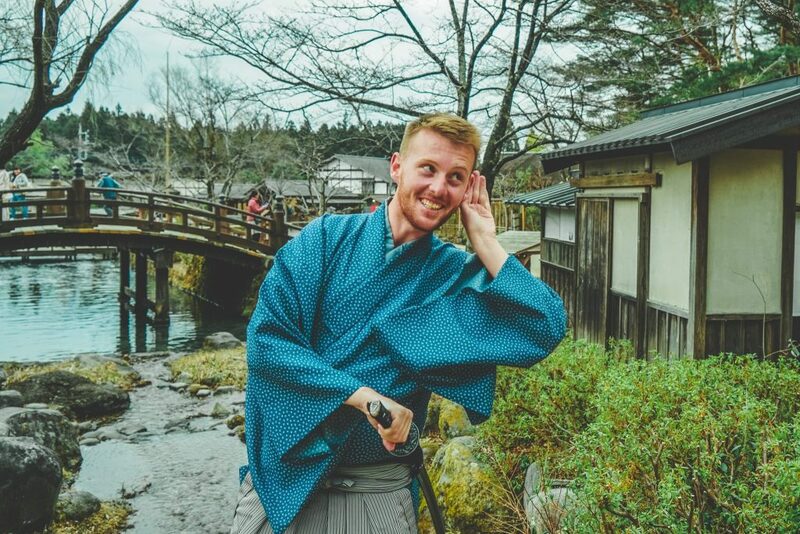 Mobile data is fast, cheap and available almost everywhere in Asia so it is no wonder the only way to truly explore like a local, and to get off the beaten track (without worrying about ever being lost) is to get connected. So why wait? Discover more in Hoi An by sorting out the best local SIM card now. 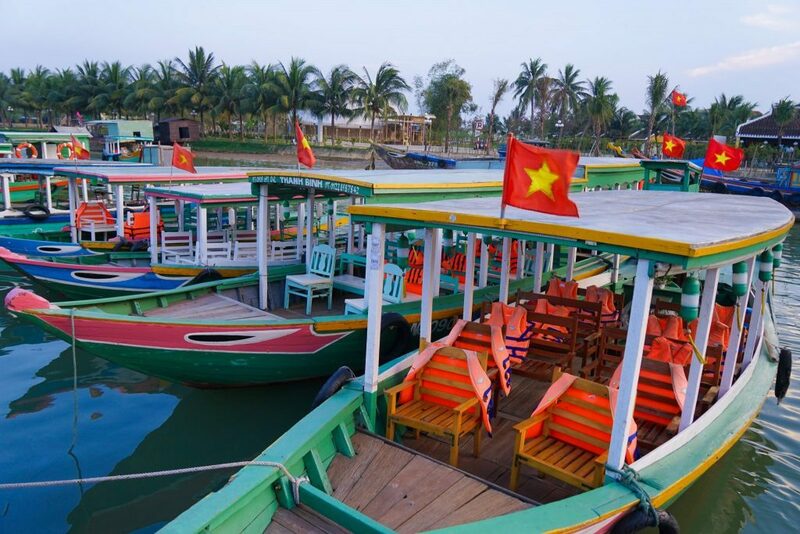 Most of these top things to do in Hoi An I gathered through local recommendations, stumbling around and more than a little research – and after you visit you will probably have your own so feel free to come back and let other readers know. 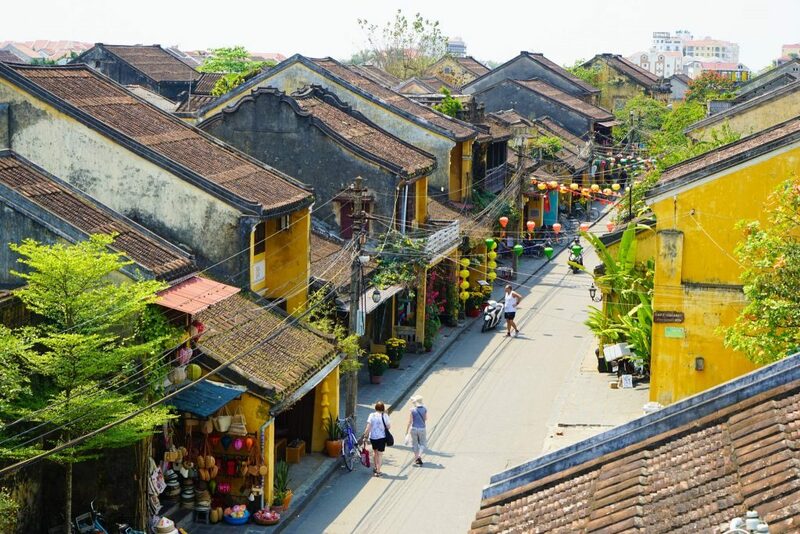 If you’re heading to Hoi An for the first time (as this list assumes!) you really should have at least 3 full days to really get a feel for this UNESCO listed town. If only because the most common regret I heard from other travelers once they got to know the real Hoi An was ‘I really wish I had more time her…..
You may think it’s boring, just riding around on a bike – but if you do, you’ve clearly never been to Hoi An before. Often devoid of motorized traffic the majestic Old Town is a remarkable collection of ancient buildings, temples and meeting halls that can easily be seen all on a casual bike trip (and with a breeze no less!). Yet within minutes, a completely different world awaits – in no time at all you can be in the center of a rice field, amongst ducks, pigs and wild birds. The contrast is quite remarkable and thanks to Hoi An’s pancake-flat environment and relative lack of traffic (well compared to Hanoi or Ho Chi Min anyway), exploring Hoi An by bicycle allows you freedom, flexibility and an escape from the ‘tourist trail’ where you can really see local life on display! Just like I was about to in magical Ninh Binh. 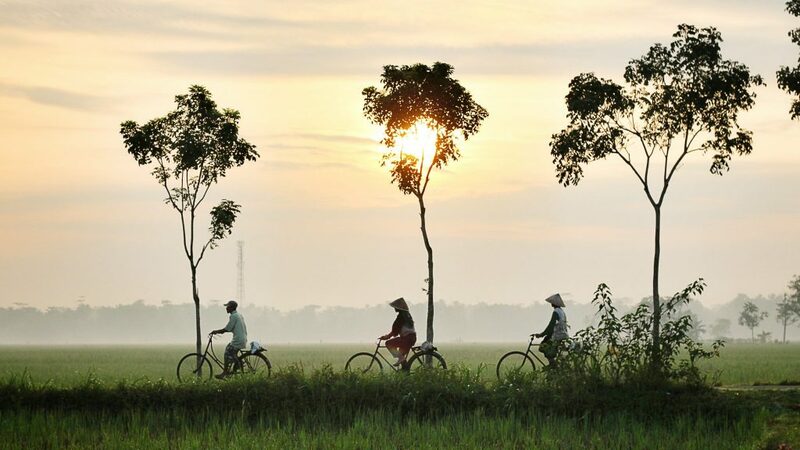 If you don’t want to navigate by yourself or just want to explore Hoi An with some new friends and a guide by bike, there are also a few popular small-group bike tours in Hoi An that explore both the city and countryside. 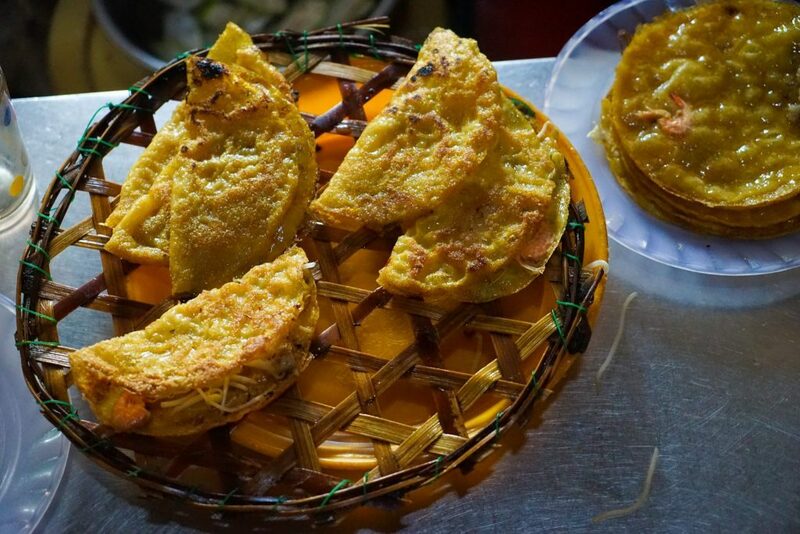 I don’t say this lightly, but anybody who is passionate about discovering, sampling and understanding the foods of Vietnam and Hoi An needs to sign up to the Original Taste of Hoi An tour and organize to have it on the first day you arrive in Hoi An. Out of all the food tours I have taken over the years around the world (including Taipei, Medellin, and Copenhagen) none have come close to the level of passion, community involvement, professionalism, knowledge and fun I found here with Neville the Teacher and his team. 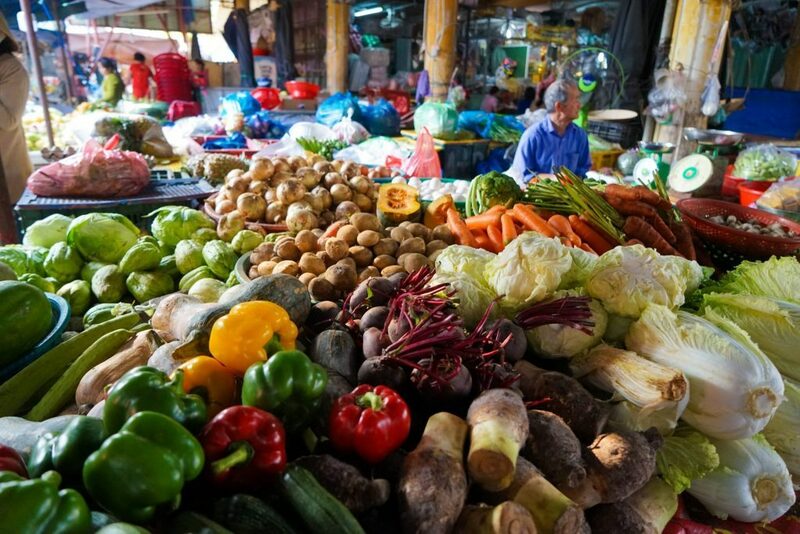 I don’t want to give away too much – but the tour is split into two parts, one discovering the markets, street-side stalls and small restaurants of an authentic Hoi An neighbourhood (with plenty of food samplings, photo opportunities and anecdotes) and the second back at Neville’s home where in a custom-designed space he and his team attempts to stuff you with as much food and knowledge as you can possibly handle. Hint: You’re never going to think about SPAM the same way ever again! I sampled around 45-50 different Vietnamese dishes (there are over 1,700 at last count) and these are no small portions. It’s a tasting tour so you eat what you want and everything is based on recognising that you have distinct taste buds – you either like or you don’t like, and there is no wrong answer. Well except when it comes to the Vietnamese Coffee Ice-Cream because anyone who doesn’t 100% love that must be a little deranged. Beyond Neville and his teams passion and pride (they have been running this tour in one form or another for 10 years), I also loved their commitment to social responsibility within the community and the cost of the tour directly benefits over 40 people – many of whom you will meet on the tour. They also help support a local orphanage (I’ll let Neville explain that better). If you take the tour when you arrive, you will also get Neville’s planning services which basically means he will tell you all the best places in town for whatever your heart desired including cocktails, shoes, bags, coffee, pizza…You name it, which is great! 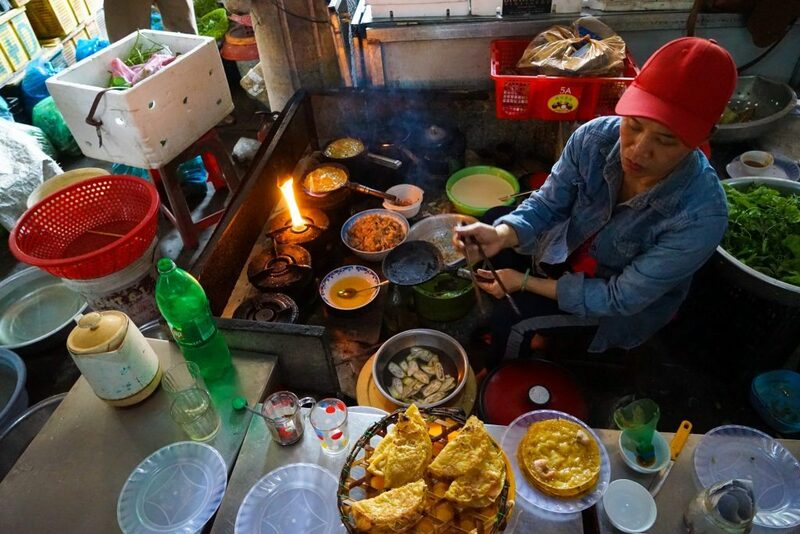 The top reviewed food tasting tour in Hoi An (hell, it’s one of Hoi An’s top attractions!) 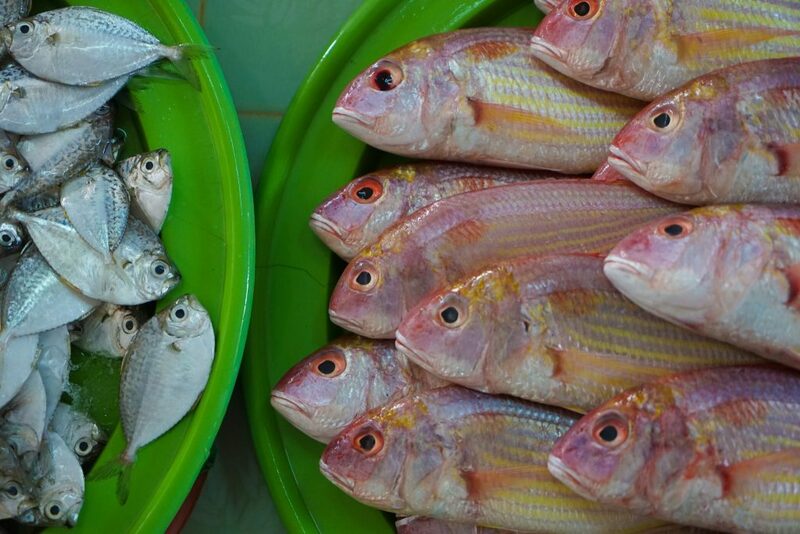 you won’t ever regret heading out with the Original Taste Of Hoi An…and will probably never look at Vietnam or food the same again! Make a day of it at the beach. At any of the seaside bars/restaurants you’re welcome to a deck chair just meters from the water’s edge – and it’ll only cost you a bottle of water. Relax in between swims with a good book and a snooze – but don’t forget your sunscreen as I did! Choosing somewhere to eat can be daunting with so many options, so let me make it easier and say hands down you need to just head straight to Ms. Tuyet and her self-named seafood restaurant Tuyet with the Worlds Best Spring Rolls (trust me, they are *huge*), great service, cute little-thatched umbrellas and an enviable position just 30 meters from the surf! If you still have energy head to the Soul Kitchen for some sunset sundowner drinks – often joined by live music making the whole thing extremely atmospheric! The ruins at My Son hark back to the early centuries AD, when the Hindu Champa civilization ruled much of central Vietnam. But in the case of the My Son ruins, it hasn’t just been the ravages of time at play. In 1969, during the American War, the Nixon administration targeted My Son from the air (because it was a Viet Cong haven) and blew most of it to smithereens. The 70 or so well-preserved towers and attendant structures were hammered but all considered, some of the buildings are remarkably intact among the bomb craters. 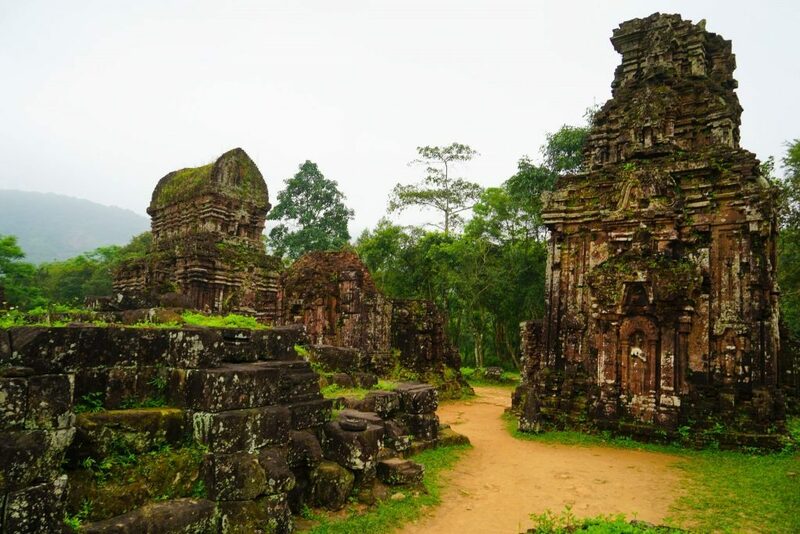 Today, like many of Vietnam’s famous sites, mass tourism has taken its toll and My Son Sanctuary – in large part thanks to it’s UNESCO World Heritage listing. My Son Sanctuary is generally swarming with tour groups and tourists wandering around with very little clue as to what is going on. You can either brave the heat and hire a private driver to take you to My Son in the afternoon when the crowds have all returned to Hoi AN (around 1 pm 99 % of tour groups have gone) – or sign up to any of the huge tour buses taking groups out for sunset on a half-day morning tour. If you read up about the site in advance and ditch you guide once you are through the entrance gate, its actually pretty nice and you can avoid most the lumbering groups and explore a few quiet spots on your own. Definitely worth a visit for history buffs or those who have not seen Angkor Wat. 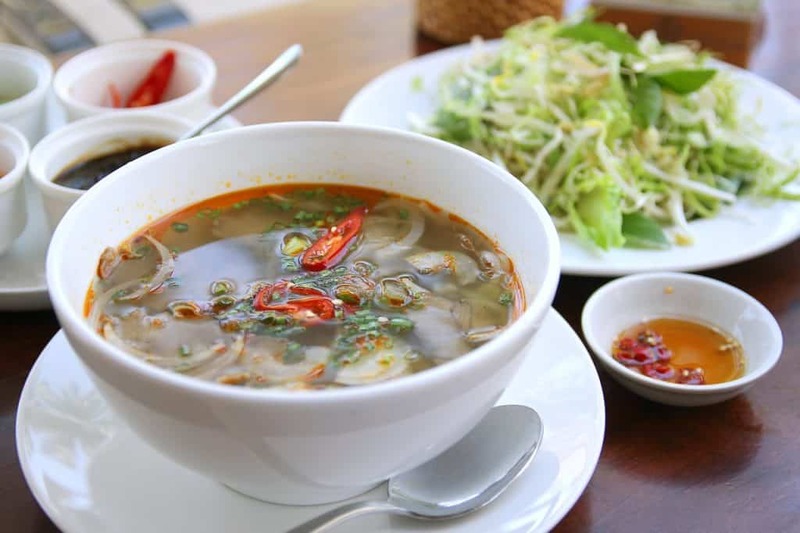 Let’s just be clear right off the bat: the best restaurants in Hoi An are not in the old town, and while some restaurants have beautiful fit-outs, decent food, and average service. You will be paying 2-3x at a minimum for the privilege of dining here, and are unlikely to be impressed. Ignore your hotel as they will get kick-backs and commissions for sending customers to one place over another (when we were in town hilariously every shop and hotel recommended one place, and yet every traveller and Tripadvisor review said it was terrible…). What else can I say? 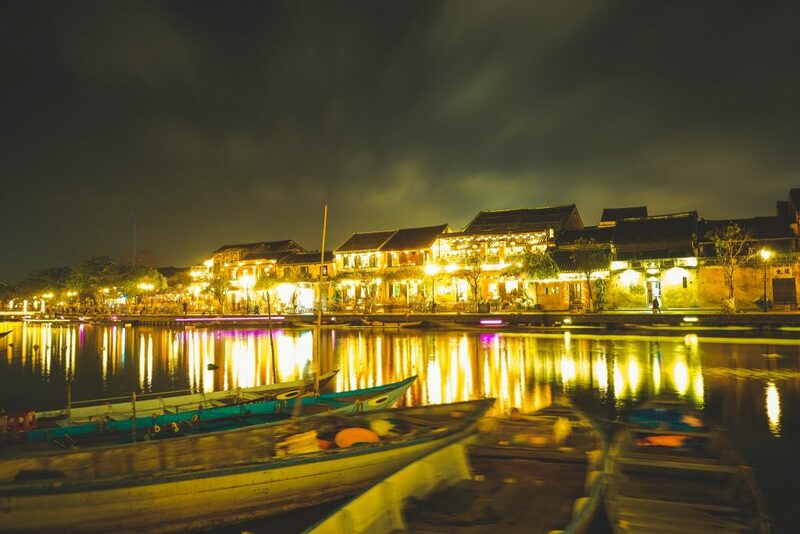 Hoi An is the most tourism orientated city in Vietnam, and while the heat of the day keeps many people back at their hotel pool-side, at night – Hoi An comes alive. 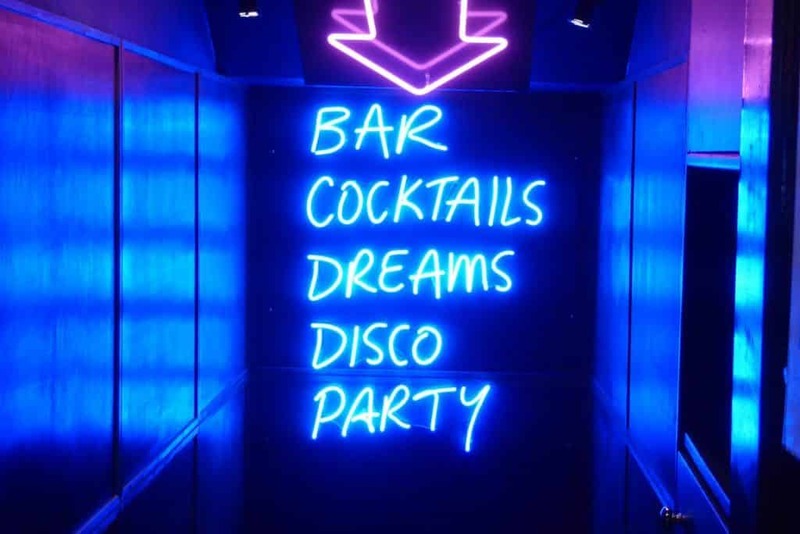 Happy hours, bucket drinks, free tequila shots or entire bottles of vodka, anything can be negotiated here or offered but the quality might not be the best. My picks for the best Hoi An Nightlife are Q Bar, with their opulent cocktails amidst upscale oriental decor, White Marble Wine Bar for its extensive ..well wine, Tam Tam for it’s second floor balcony views and happy hour and of course – Tiger Tiger for it’s dance-until-you-drop, cheap drinks and backpacker vibes with the parties to end all parties. 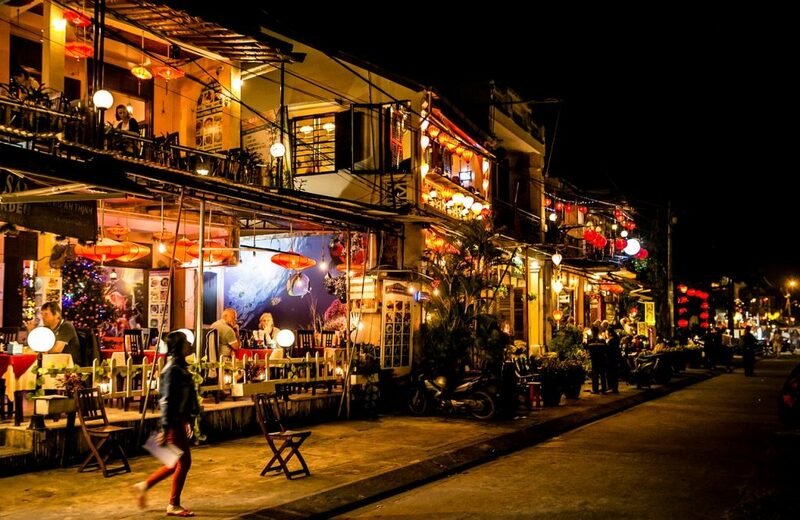 Whatever your preference, budget or style, Hoi An nightlife can provide! 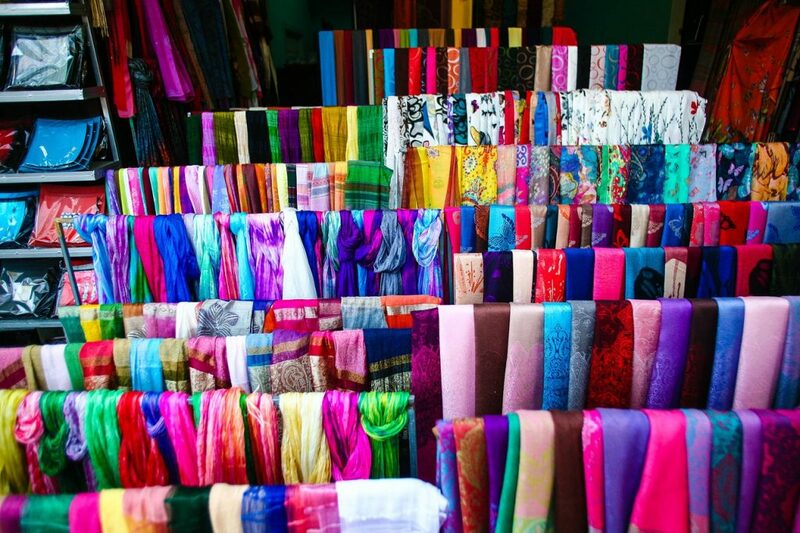 Finding a tailor in Hoi An is about as hard as shutting your eyes, turning around and pointing to the nearest shop. 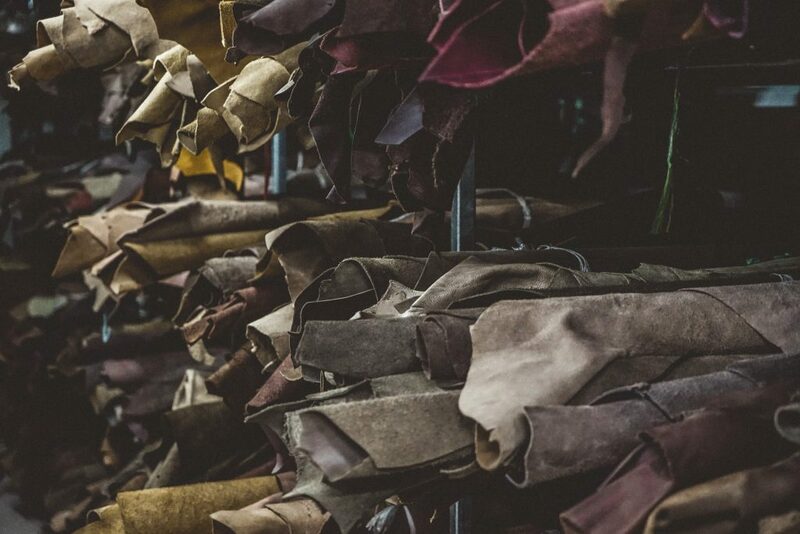 But getting the actual clothes made is a lot trickier – it may turn out to be the greatest thing you’ve ever done or an unmitigated disaster. Of course, if you’re Vietnam Itinerary doesn’t end in Hoi An you might want to hold off to avoid carrying anything around with you. Make SURE your sales assistant understands what you want. She’ll say ‘yes, yes’ but you can be almost certain – unless you go over it, get her to repeat it and even draw it – that she won’t get your full drift. Take time in choosing the right material; after all, a poor material choice is one of the main reasons for tailoring disasters. Ask the tailor’s advice but remember, you don’t have to limit yourself to their range. Try specialist fabric shops as well. Get recommendations from other travellers (not your hotel or guide!) who actually have brought a suite. I hear great things about Kim Only (not Kimmy’s) located opposite Lac Viet Jewelry or Ms. Lee at Trung Duc found at 37 Tran Hung Dao. But take my advise with a grain of salt. 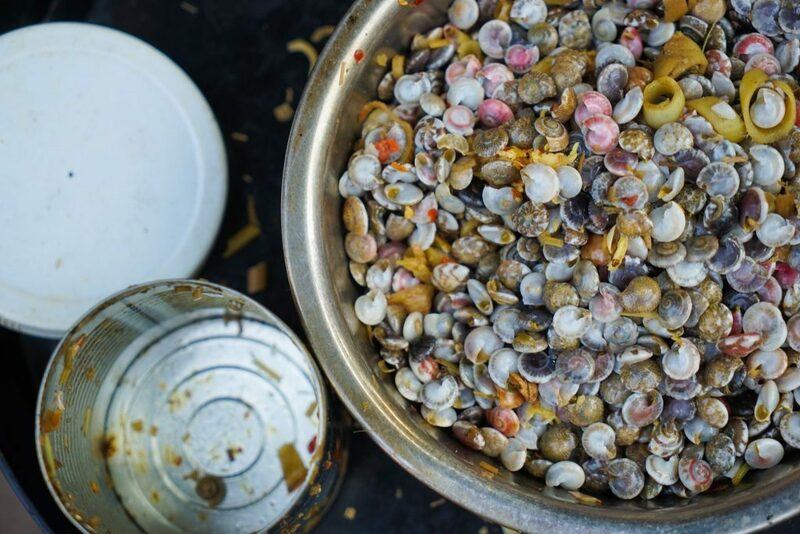 If you’re one of those selfish types who hate sharing your tropical paradise with the general public, check out this largely unspoiled marine-protected island; one of the least developed islands in Vietnam. Day-trippers flock to it on public holidays and weekends, but pick a weekday, especially out of peak season, and you may just find yourself alone with the locals. Cham Island’s coral reefs attract divers and snorkelers alike, with some operators offering scuba diving, snorkeling and trekking packages at pretty reasonable rates – but with only two shops, quality is low and many trips are canceled without reason. 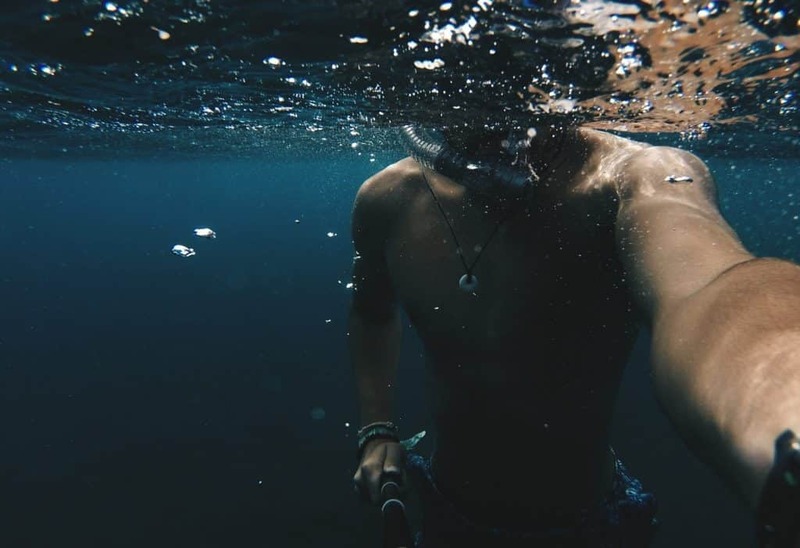 We found this snorkeling excursion to Cham Island to be the best value, however, and accommodation transfers are included so you can book in advance and not waste time on the ground. The ferry only takes about 90 minutes to get to Cham Island so why not head out to this UNESCO Biosphere and see what all the fuss is about! 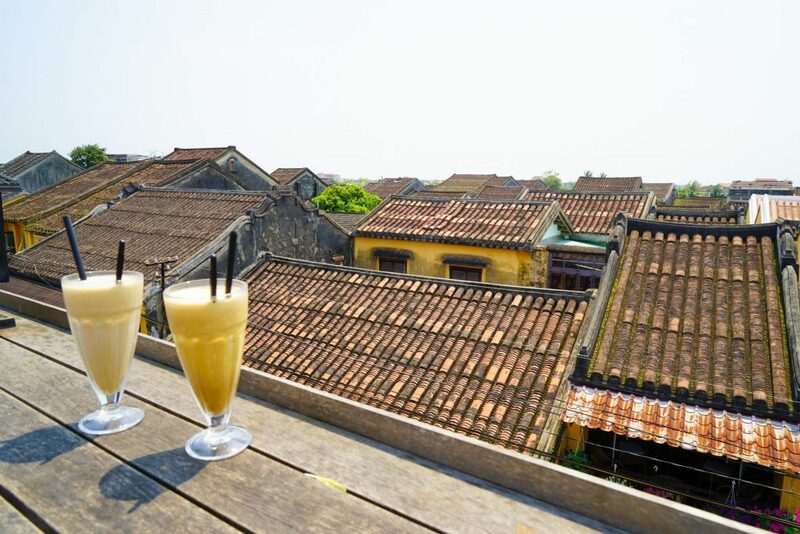 This was one of our favorite things to do in Hoi An, popping up to the 2nd or 3rd floor of restaurants and considering the coffee or cocktail an admission charge to set from above and watch the busy streets below or look out over the tilled roof-tops of the old city! Sometimes we were pleasantly surprised by the coffee quality – like at the beautiful rooftop of Faifo Coffee – and many times, we were not. 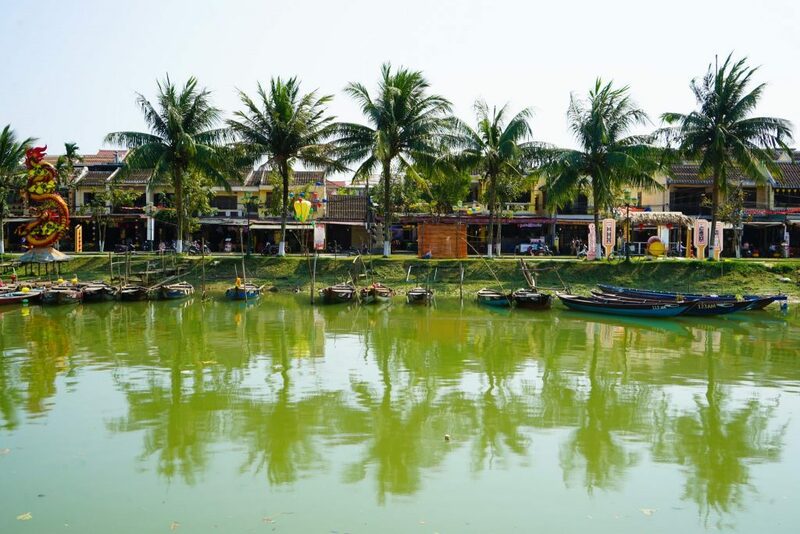 There are probably 100 or more restaurants with views across Hoi An and half the fun is discovering your own personal favourite…Just keep a keen eye on the sky as your walking along and when something look intriguing head up! 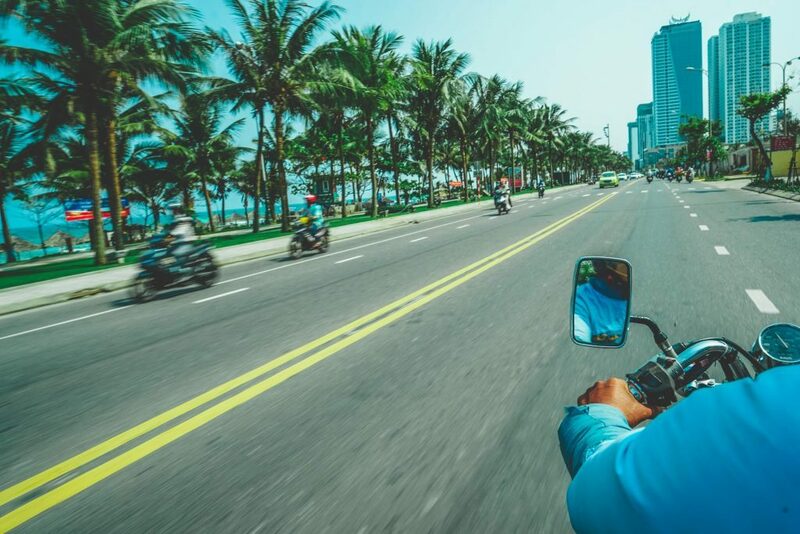 If you’re heading to Hoi An, chances are you are either going to or coming from Hue – so while this is not technically a thing to do in Hoi An, you should still consider taking an Easyrider over the bus or private car! So what is an Easyrider in Vietnam? Well – basically it’s an experienced Vietnamese man who takes you on the back of his bike to where-ever you want to go, and boy is it a rush! Having no interest in navigating Vietnamese roads at high speed, I contacted Hue Riders (the original guys who started this idea, with the best reviews and reputation for organizing motobiking in Vietnam!). 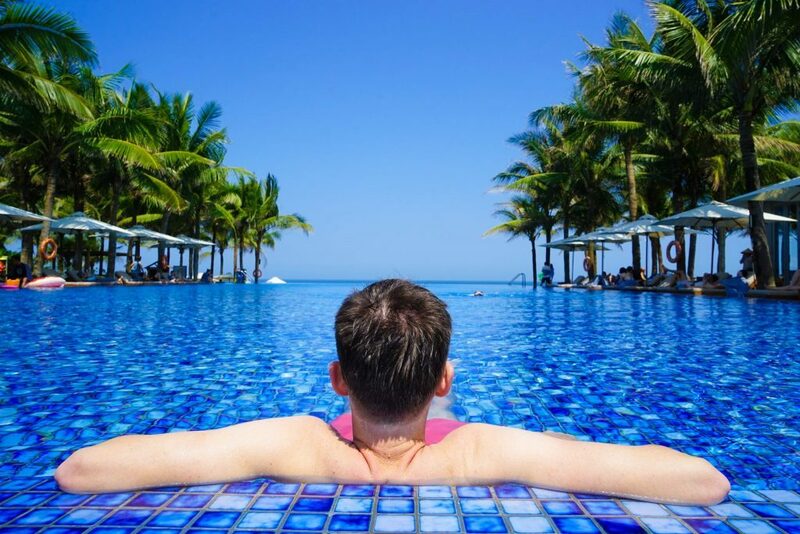 I organized a one day trip with them between Hoi An and Hue stopping at a remote fishing village, a white-sand beach for lunch, traversing the famous Hai Van Pass and even swimming by Da Nang Beach and Marble Mountain. 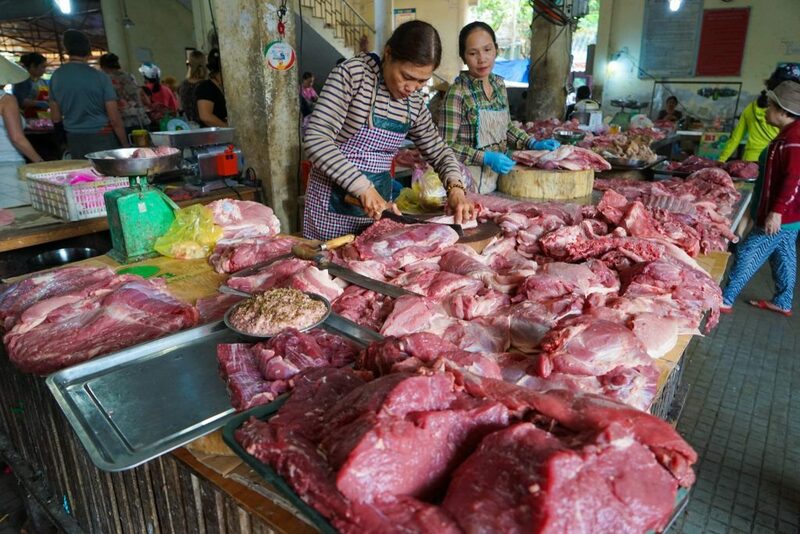 No prior experience is needed, they are pro’s at everything (including transporting bulky luggage) and since you can’t really sleep you will have an entirely new appreciation for Vietnam life simply by looking around as you go! I loved it so much I’m planning to head back for a multi-day Easyrider in Vietnam ….but if you’re not sure just start with the Easy Rider Hoi An To Hue first! 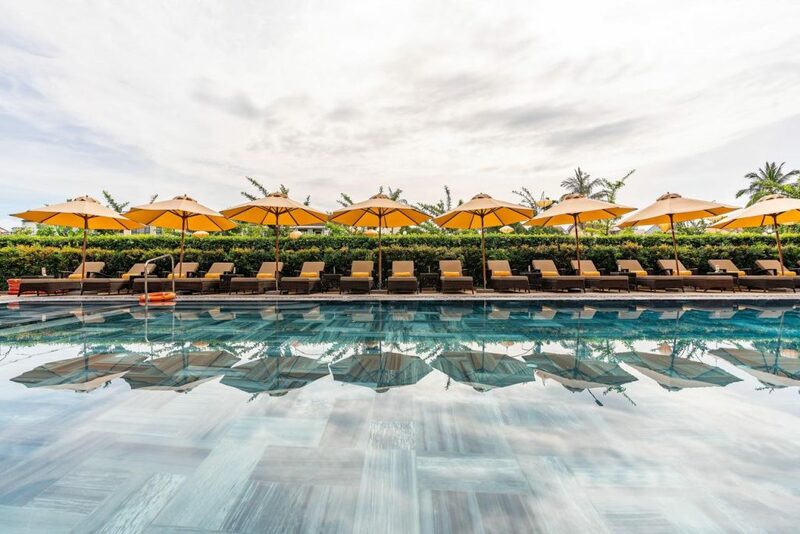 It’s hot as hell in Hoi An and sometimes you just need the beach to cool off – so why not check in for a few nights of luxury pampering and pool-side cocktails just 15 minutes drive from Hoi An Old Town. 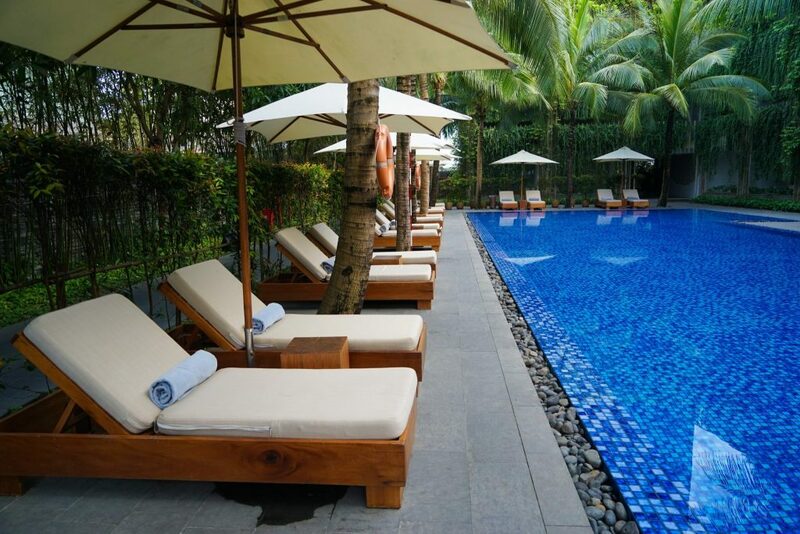 And if you’re visiting the whole of Vietnam you’re around about half-way now and probably long overdue for some much-needed rest and relaxation. 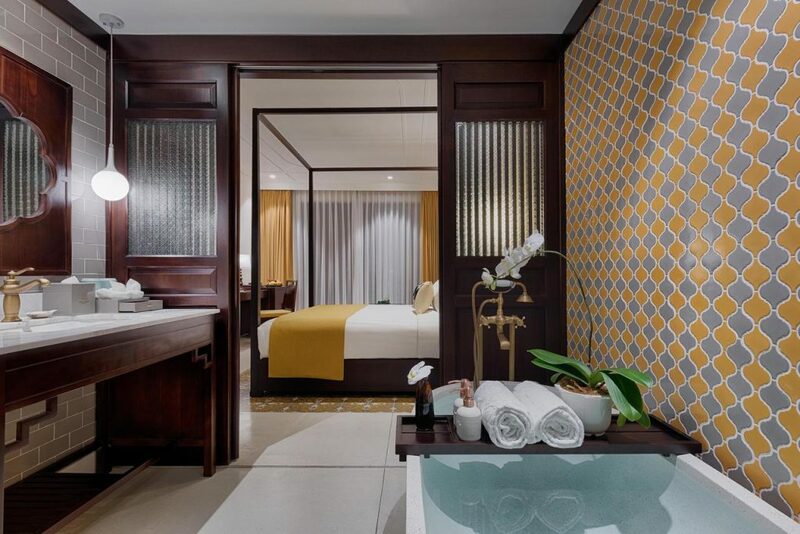 I checked into the Naman Retreat and loved its multiple pools, daily activities program including learning how to basket boat (well trying at least), chic modern design complete with minimalist bamboo architecture and world-class spa facilities. It is also very family friendly if you are wondering where to stay in Hoi An with kids! We did, however, get bored after a few days, so if you are like us and don’t know quite how to relax, we recommend a high-energy and quick day trio, like Rock Climbing in Marble Mountain, to make sure you leave the resort walls and feel too couped up! With a myriad of palm trees, live music, and spectacular sunsets the evenings are never boring here and they conveniently had free shuttle services to Hoi An if you wanted to visit by day-or-night. Not only that but on check-in I was allocated our own personal ambassador contactable 24/7 via Whatsapp to answer any questions and help with absolutely anything we needed, so needless to say I felt like I was living the high-life at a mere fraction of what it would cost in a more developed country. 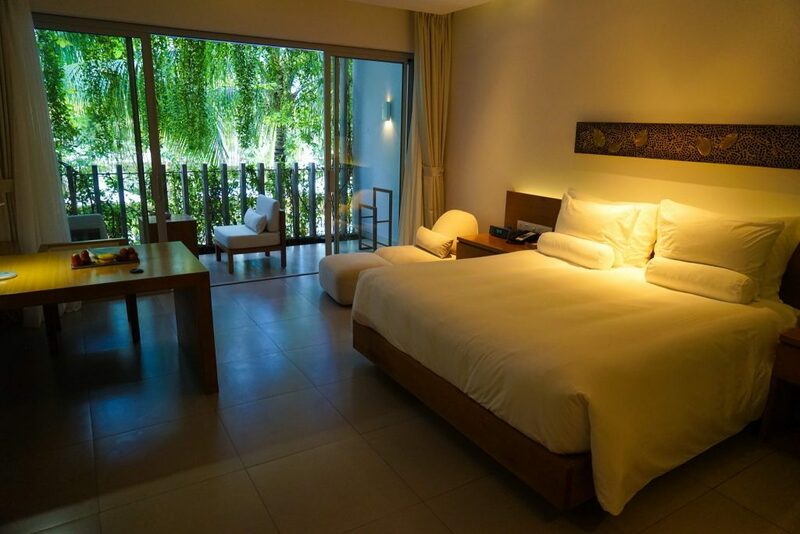 Wondering where to stay in Hoi An? I’ve put a few of my favorite options together to help you decide. 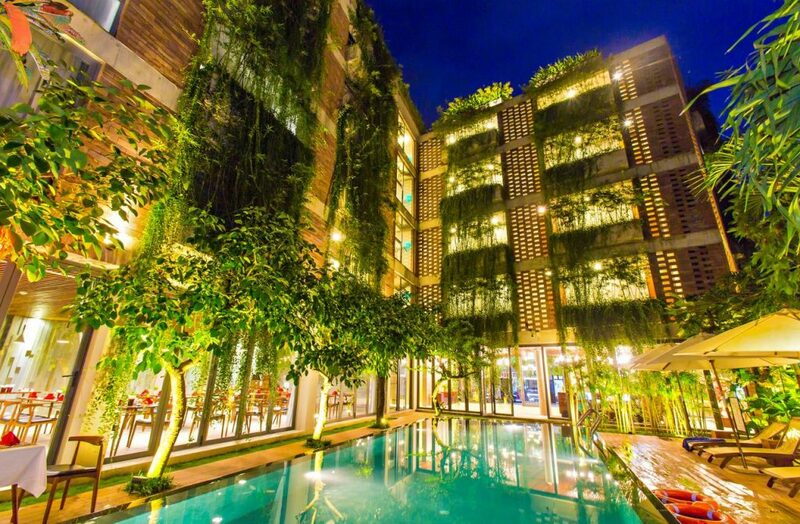 There is so, so, so much choice in this little city – but if you want to wade through them all you can find the best Hoi An Hotel deals here. Want to relax poolside with a cocktail? 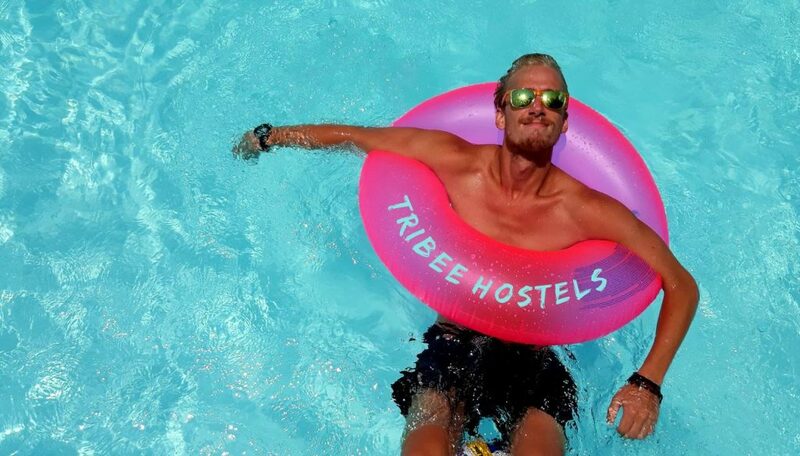 Stay in a super-social hostel or indulge in unparalleled luxury? 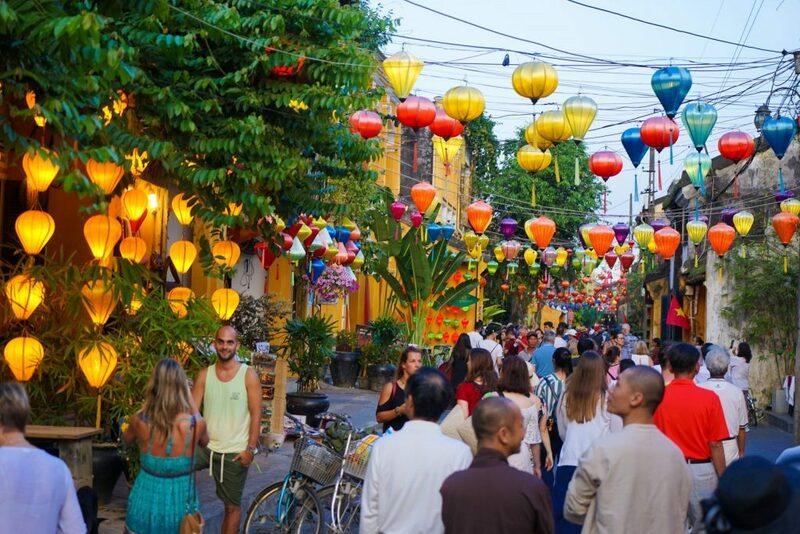 And there you have it – all the best things to do in Hoi An for a first visit. While the well-preserved Ancient Town is a clear draw card, there is so much more to this former city – a melting point of cultures, architecture, food and now tourism. I honestly can’t recommend enough trying The Original Taste of Hoi An tour to get a true sense of the city, but if you follow every one of these things to do – I personal guarantee you will fall in love with Hoi An just as I did and be booking your flights with Vietnam Airlines back to this iconic city faster than you can say Tạm biệt!